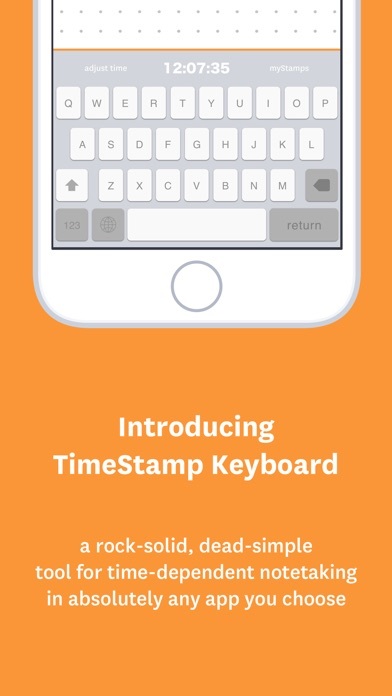 Stop being a prisoner to that other app - TimeStamp Keyboard allows you to take time-dependent notes in any app you choose! 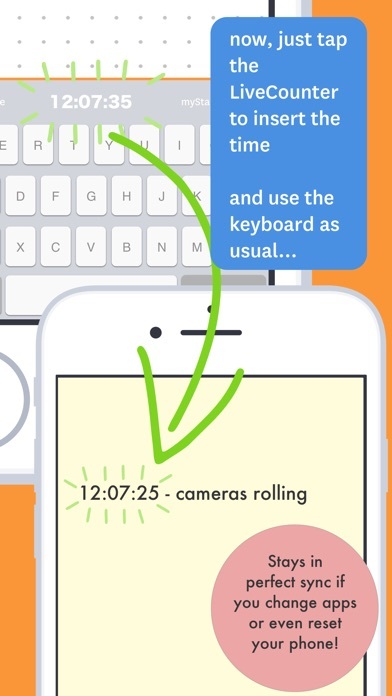 Then, open your favorite note-taking app, and tap the LiveCounter to insert the time. It's that simple! 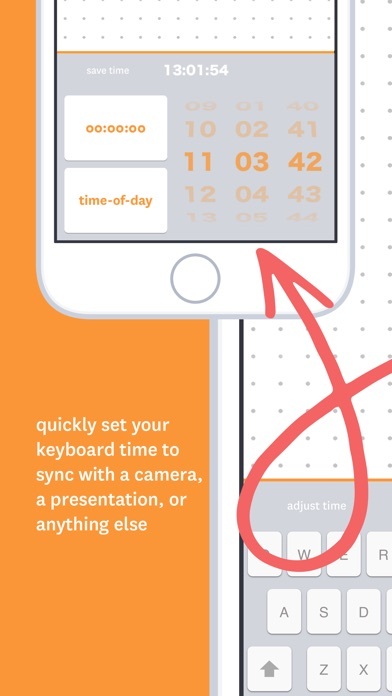 Don't worry about changing apps, or even resetting your phone - TimeStamp Keyboard will stay in perfect sync! 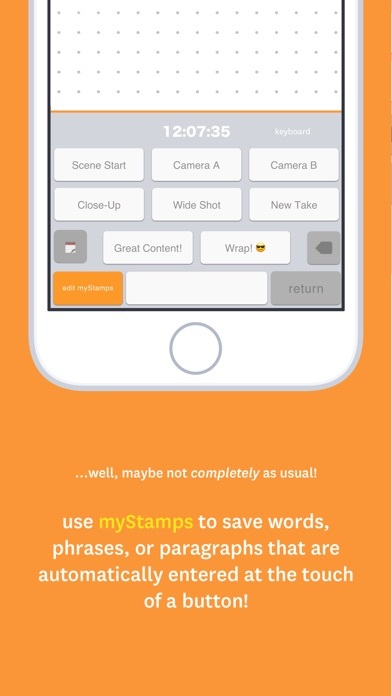 myStamps give you the power to make your own customizable buttons! Set them to frequently used words, phrases, or even entire paragraphs. Adjustments made per user feedback. Keep it coming!